Trade Show Graphic Designs. Exhibitsusa. Designing large-format graphics for trade show exhibit takes some know-how. What works for small brochures might not work as well for oversized trade show display graphics. Let E&E’s experienced designers help you create the perfect image for your trade show display investment. E&E Exhibit Solutions has a staff of professionally-trained graphic designers who take your marketing message, logo and company colors and create large-format display graphics for your trade show booth. Our experienced graphic designers know how to translate your marketing message into effective large-format graphics perfect for any size exhibit. Drive Traffic to Your Booth with Compelling Graphic Design: Grab the attention of event attendees with a combination of powerful images and effective, persuasive content. 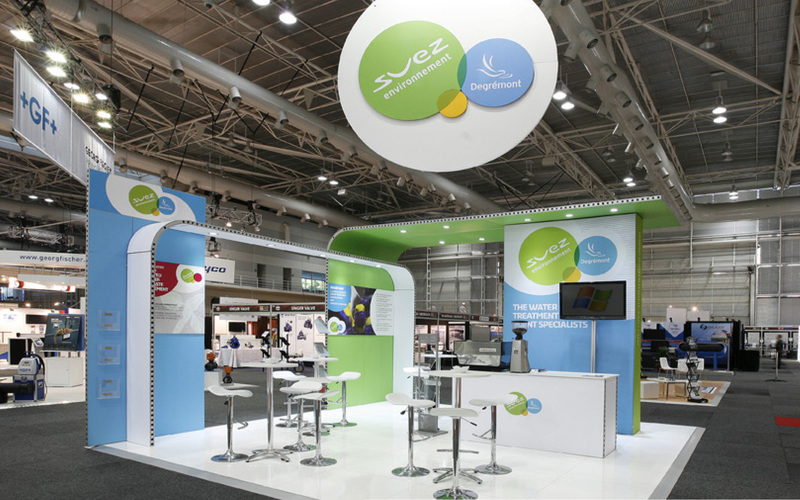 E&E can help you create attractive and results-driven trade show displays and graphics. From large-format graphics to business cards, E&E Exhibit Solutions can help you create an entire collection of marketing collateral, including a web site design integrated with your trade show display graphics for a consistent brand image. The idea is simple: coordinate the graphic design of your pre-show, at-show and post-show promotions. Professionally-designed postcards, flyers and brochures use the same artwork seen in your trade show graphics so your prospects recognize you. These attention-getting graphics also drive new visitors to your trade show display. A matching web site reinforces your marketing message. Direct your prospects to your specially designed site, and they’ll find consistent messaging from start to finish and give you a way to capture lead information and track your trade show success. 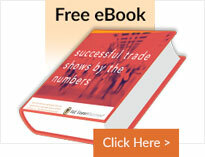 With E&E Exhibit Solutions, you get more than a trade show booth company. You get a true marketing partner. Contact us today for more information on our trade show display graphics design services, and let our People with ideas™ transform your company’s visuals into the attention-grabbing graphics you need for trade show displays.